The Aug. 21 dedication of El Salvador's first temple was a memorable event for all the general officers that traveled here to participate. But for one in that group, the opening of a temple on Salvadoran soil marks a moment she once could not have imagined. 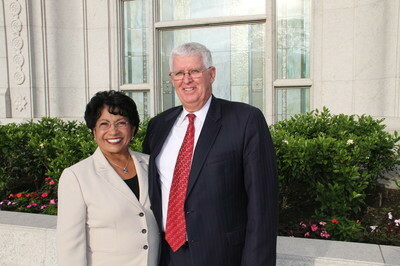 Sister Silvia H. Allred, first counselor in the Relief Society general presidency, is a native Salvadoran and a convert. She remembers when the Church in San Salvador was so small that the capital city's entire membership was found on the rolls of a single branch. Today there are more than 100,000 members in El Salvador. Today there is a temple here, and Sister Allred — an eloquent woman — is almost speechless.